2018 is already shaping up to be an amazing year for gigs - where should you be heading next year? Radio X has the pick of the best. The former Oasis frontman will be playing one of his biggest solo shows year at London’s Finsbury Park on 29 June 2018. The North also gets a slice of Liam on 18 August, when he plays Lancashire County Cricket Club in Manchester. Dave Grohl and his band of heroes will play three massive stadium shows in the summer of 2018: Manchester’s Etihad Stadium on 19 June and London Stadium on 22 and 23 June. Noel Gallagher’s High Flying Birds, Courteeners, Jake Bugg, Blossoms and more will play this massive new festival at Warrington’s Victoria Park on 26 and 27 May 2018. We are now SOLD OUT of general tickets! Thank you so much for the overwhelming support! Robert Smith’s alternative rock legends mark their fortieth anniversary in 2018, so they’ve lined up a date as part of Barclaycard’s British Summer Time on 7 July 2018. The excellent bill also includes Interpol, Goldfrapp, Editors Ride and more. A panoply of fabulous artists will be joining The Cure at BST Hyde Park, London on Saturday 7th July 2018, including @Interpol @goldfrapp @EditorsOfficial @Rideox4 @SlowdiveDive @TheTwilightSad, with many more to be announced..
Glasgow Green’s own festival gets even bigger as it now spreads out over two weekends: 29 June to 1 July and 6 to 8 July 2018. Already confirmed are The Killers, Liam Gallagher, Stereophonics, Courteeners and Chvrches, with many, many more to be announced. Tickets for Sun 08 July at #TRNSMTfest 2018 are on sale at 9am, in 15 mins! 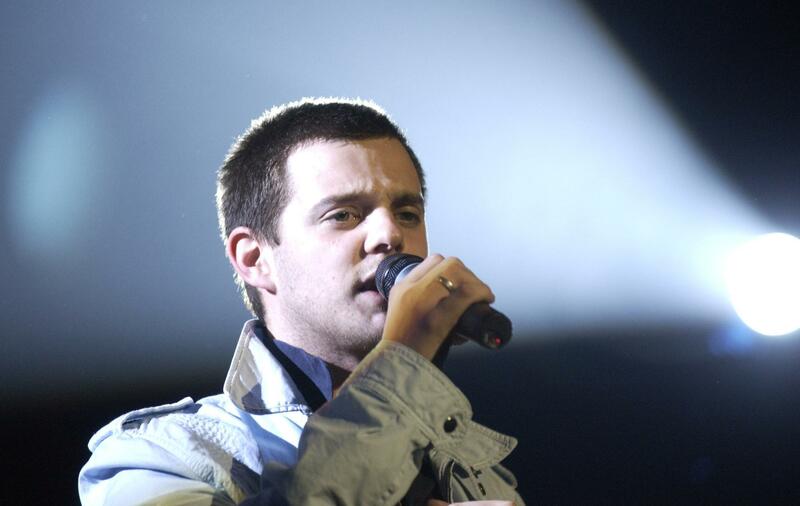 Mike Skinner will be getting the old gang back together for a greatest hits tour, kicking off at the O2 Academy Birmingham on 19 April and winding up with three nights at the O2 Academy Brixton in London between 25 and 27 April 2018. The original British festival marks its 50th anniversary in 2018, and has organised a hugely impressive line-up for the occasion, including Depeche Mode, The Killers, Kasabian, Liam Gallagher, Van Morrison and more, across the weekend of 21 to 24 June 2018. The Welsh rockers will kick off the summer playing a massive gig at Glyndŵr University Racecourse Stadium in Wrexham on Saturday 2 June, followed by another huge date at Cardiff City Stadium just one week later on Saturday 9 June. Guy Garvey will be bringing the love to the UK in March 2018, with shows at Manchester Arena (4 Match) and London’s O2 on 7 March.